Just days after Pawan Kalyan launched his new political party, Jana Sena Party, his office has issued a statement that the actor is the sole representative of the party. Ever since news began doing rounds that he is going to enter into active politics, several people in the film industry and other political parties have been stating their opinions. Now, Pawan Kalyan’s office has clarified saying, “No other person, except for Pawan Kalyan is authorised to represent the Jana Sena Party.” In fact, Pawan Kalyan himself had stated that the party is still in a very nascent stage and it’s too early to even talk about whether he’s going to contest in elections this time. 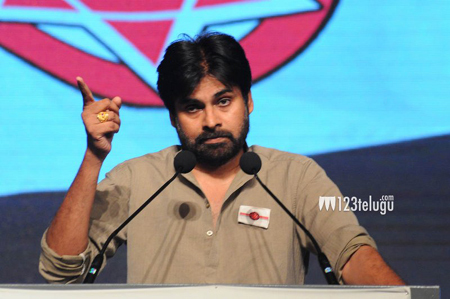 “I’m ready to join hands with anyone, except Congress, to work for a better society,” Pawan Kalyan said at the launch of Jana Sena Party in March 14. Meanwhile, the actor is gearing up to release a new book titled “ISM”, which he has co-authored with Raju Ravitej. Apparently, the duo have been working for the past few years and the book will contain the ideology of Jana Sena Party.